Montenegro Hostel B&B Kotor has been opened in the old town Kotor since 2008 and it is famous thanks to the best imaginable location, excellent facilities, and numerous tours which hostel organizes all over the country. Montenegro Hostel company has a chain of accommodations in cities: Budva, Kotor and Podgorica as well as a travel agency. 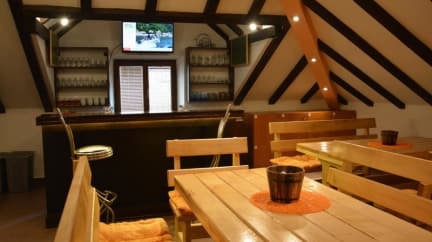 Montenegro Hostel B&B Kotor has private rooms as well as dorms. All accommodation units are located in the old town of Kotor one next to each other on the main squares in the town. Private rooms have: shared bathroom, communal kitchen, free wifi and AC. Montenegro Hostel Travel Agency has been opened for 10 years and organizes plenty of tours with excellent itineraries and prices. We organize day tours in Montenegro, budget tours and international tours. Pub Crawl costs is 3 euro. This hostel was great if you want to be in the center of old city Kotor and be close to everything - and hear everything. Because it is in center it can be loud, but it's not the hostel fault. The staff is very nice and friendly and open, had a nice time communicating with them. They offer good tours around Montenegro and transfers from other cities, so you can do everything through them and not have to worry so that's really good. Would recommend.